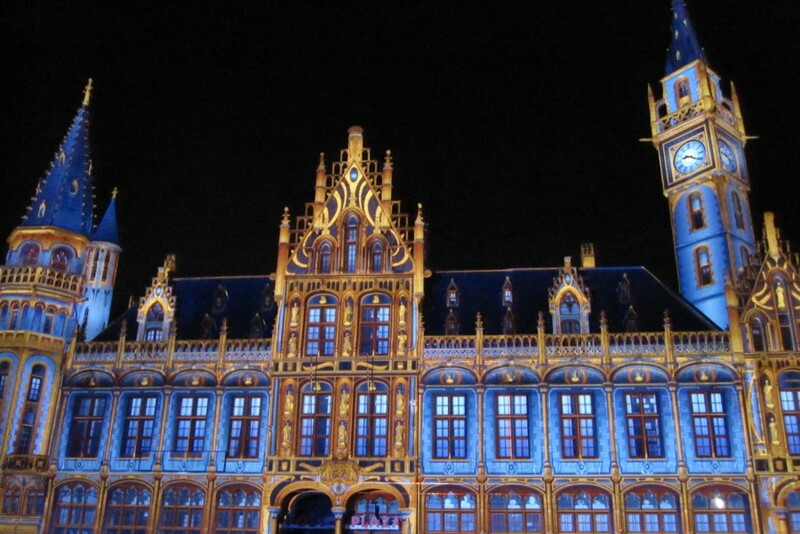 The Ghent Light Festival is back in 2018. The three-yearly festival of light will run between Wednesday the 31st January 2018 and end on the following Sunday – the 4th February 2018. This year sees the 4th edition of the festival and an extra day has been added to help with demand. What time do the lights shine? The lights will start shining from 7pm until Midnight on all days apart from Sunday which will start a little earlier at 6pm making the event more accessible for families. Over a half a million visitors were attracted to see the light spectacular in 2015 which saw an extension of the lights show outside of the centre. There’s a new route highlighting the historical city centre, the arts quarter and the city’s past. We’ve put together a Google Map detailing the route. Feel free to share and save to your devices. We’ve been meaning to visit the light festival since 2015 when we thought we’d go and see it the year after… nope! we didn’t realise at the time that the festival is once every three years. We’ll have in tow our (at the time) 20 month old daughter who loves lights at the moment – we’ll have to see if she still does in 8 months time!